If you have been working in the industry for a while or are ready for a step up the career ladder within a racing yard, you will find lots of information on this website. There are many senior positions available on our Job Board. You can register yourself and set job alerts for when new jobs are posted, matching your selected criteria. If you are looking to be a Head Groom or an Assistant Trainer, remember there are training courses available at the British Racing School in Newmarket and the Northern Racing College in Doncaster to help you make that transition. 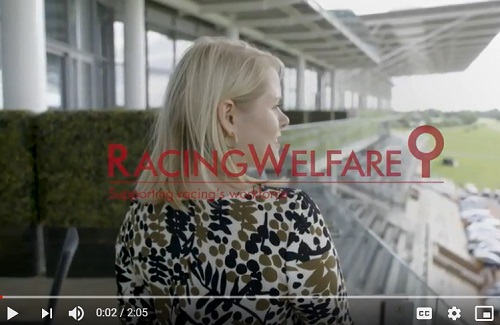 Run by Racing Welfare, in partnership with the British Horseracing Authority (BHA), CATS is open to anybody who works, or has worked in the British horseracing industry. The service offers career coaching for those who want to progress and develop within their current role or within the wider British horseracing industry. You can access this support at any time during your career - perhaps you need help in putting together a CV or want some tips on interviewing techniques. Download the latest CATS newsletter here. You have probably gained many transferable skills during your career. Take a look at the courses and training available in racing and breeding and some of the industry courses. Perhaps you could find a role in racing administration such as an Equine Welfare and Integrity Officer or work at a racecourse as an Operations Executive? Read our Case Studiesrdbqtcrdstew to find out more about interesting jobs in racing. Don't forget to take a look at our Career Map to help find that next step in racing. Ready to make your next steps? View the current job vacancies on the Job Board, check out the Courses and Training available, take a look at the different roles available in racing or see the forthcoming training courses.